They are found in fields and on roadsides. 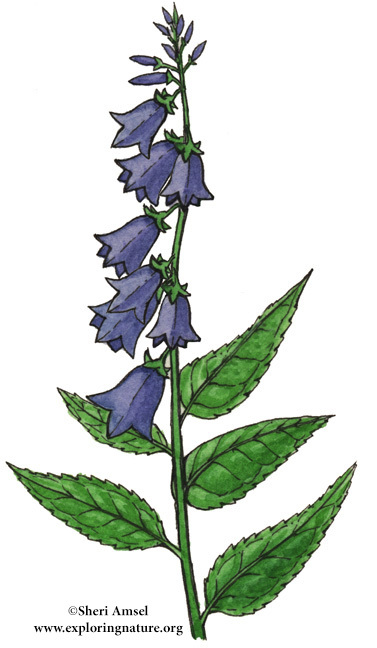 They have many nodding blue bells that line one side of a long stem. The leaves along lower stem are oval with toothed edges and pointed ends. They bloom June through September.